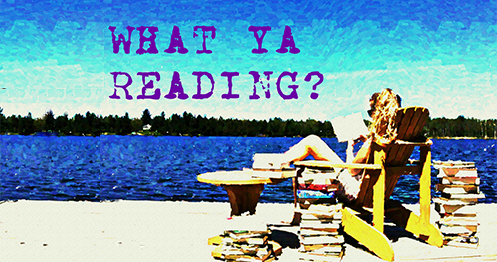 The Glittering Court | What YA Reading? A dazzling, romantic new fantasy series set in a mix of Elizabethan and frontier worlds from Richelle Mead, #1 internationally bestselling author of Vampire Academy. Unwilling to marry an itchy cousin to save her family from mounting debt, the young Countess of Rothford decides to run away and join the Glittering Court. This ladies’ finishing school is designed to pass off common girls as ‘New Nobility’, in order to sell them as wives to men in the New World. Now, from a purely objective standpoint, the rationale behind Adelaide’s decision is perfectly sapient. Embracing one’s deep-seated sense of adventure by abdicating one arranged marriage to barrel into another, all the while flying the proverbial familial coop and abandoning exactly one (1) bereft grandma, is what we all would do in such a situation, I’m sure. And you haven’t even heard the best part! In her reckless abandon of cousin Lionel, Adelaide surrenders all pretenses of modern decorum and trades a tactfully (although questionably) arranged marriage for something much baser: glorified human trafficking. Which brings me to my next point: the world inaugurated by Mead in this startling series debut spins on an axis of misogyny and prejudice. Not only is the society portrayed in The Glittering Court imbued with sexism and other such crimes against humanity, but its plot is built on these elements, and could not exist without them. Mead has spun a tale so deeply entrenched in the degradation of women that her protagonist would fail to have a story in its absence. Unfortunately, this is not a matter of dowries or gold diggers or even star-crossed love between castes; this is about an organized, lawful business whose primary mission is the sale of women. Adelaide, naturally, is rescued from this harrowing enmity only by true love’s kiss. Oblivious to the inequity surrounding her, she chooses instead to invest the entirety of her energy and attention into the spray tan love for which YA is so notorious. And thank God for that, because what ever would she do without a big, strong man to save her? (Never mind a tall, dark, and handsome one!) By accepting the incredible misogyny widespread throughout her culture without so much as lifting a finger– or raising a voice, or shaping a thought– against it, it seems obvious to me that Adelaide condones it. It is my pressing belief that this is a you’re-either-for-us-or-against-us situation. And it seems that our darling Adelaide, dear readers, too preoccupied with the sweep of her hair and the hue of her gowns, is against us. I’m not wholly sure of the terminology, but I’ve heard The Glittering Court addressed as a half-fantasy; part Victorian England, part Belle Époque France, and part colonial America, with none of the magic to see it all through. Mead showers her plot in various elements and values stemming from each of these eras with no apparent common thread to tie them together, and nothing of value to add to them. Needless to say, the world building fails. The geography is preliminary at best, the social hierarchy is grandly detailed and yet still ostensibly boring, and the theocracy borders perfunctory. If you’re going to blame a dystopia on a constitutional lack of laïcité, please feel free to give the religion in question some substance. Additionally, Mead tempts us to read on by dangling promises of deep, dark secrets to come from each of her secondary characters like apples in front of a horse. For instance, no one knows what Tamsin has at stake, Mira is withholding the basis for her nightly jaunts, and Cedric is harboring a secret that may very well cost him his head. In the end, we never do discover the nature of Tamsin’s collateral; Mira’s enigma is easy enough to piece together, if seemingly extraneous; and Cedric’s big secret is honestly just trite. There’s no way around it– I couldn’t imagine a bigger anticlimax in that regard if tried. I’m told that the reason we learn so little about Tamsin and Mira in this installment is that The Glittering Court is slated as a companion series; these ladies will feature as protagonists in their own novels. I couldn’t tell you for sure, though. I certainly don’t plan on reading them. 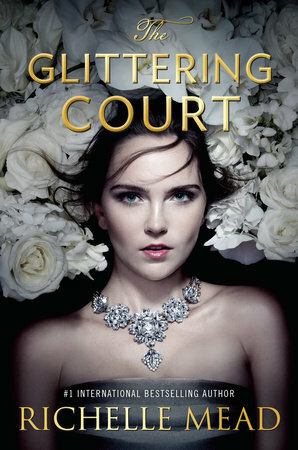 I will say this: The Glittering Court is a fast-paced read and a lovely romance. Although these features in no way compensate for its faults, they did provide me with much needed satisfaction and regalement. Recommended for all those unwilling to rage against the machine. 1.4/5 stars.